There’s nothing quite as satisfying as taking a perfect bite of your own chocolatey creation. Beautiful chocolate candy molds are surprisingly simple to create when you’re working with the highest-quality chocolates and confections. Royal Wholesale Chocolate offers a wide range of bulk chocolate products to help you make and mold unique, irresistible desserts for special events, holidays and more. Chocolate wafers are easy to melt down due to their thin and wonderfully crisp texture, while chocolate coatings help bakers achieve a flawless shape or design without any tempering at all. 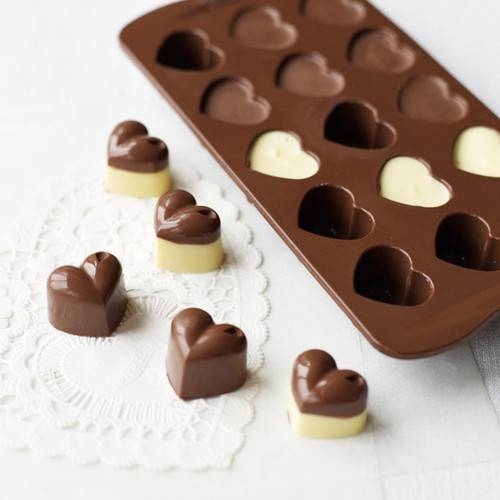 Royal Wholesale has a variety of chocolate wafers, coatings, chunks and more, so you can create exquisite candy molds in no time. Find all the finest brands in baking chocolates available in bulk quantities, so you can make and mold a decadent treat everyone can enjoy.